Reese Family Dentistry has been practicing dentistry for over 25 years and serving the Mountain Home area for over 15 years, but did you know that Dr. Reese not only provides family dentistry, but also offers orthodontic services? The number one concern of those looking into getting braces is cost. Braces can cost anywhere from $4,500 to $5,500 depending on the complexity and severity of the problem. Choosing orthodontic treatment from a general dentist rather than an orthodontic specialist can save you a significant amount of money. 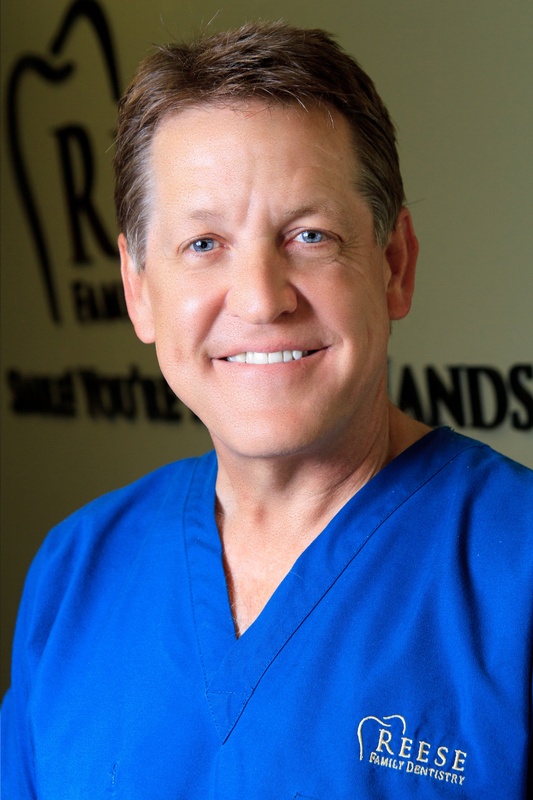 Dr. Reese has extensive studies and experience in Comprehensive Orthodontic Treatment, meaning although he is not classified as an orthodontist, he is more than qualified to provide orthodontic treatment in addition to general dentistry. Typically when you think of 'family dentistry' you think of root canals, fillings, extractions, bridges, crowns, etc. Reese Family Dentistry provides all that and more. Our services list on our website includes all of the above mentioned services, plus whitening and bleaching, veneers, implants, dentures, inlays and onlays, bone grafting, and orthodontics. We feel that providing the entire package of treatment options in one office is a huge benefit to our patients. Because of this, we utilize state of the art technology including WaterLase iPlus, digital X-ray, Rotary Endodontics using Nickel-Titanium Rotary Technology, and Diagnodent, in addition to the personal relationship you've come to expect. We take pride in helping you maintain optimal oral health through comprehensive and preventive patient care. We feel that it is important for you to know your options for decisions regarding your oral health andtreatment. Our website is a wealth of information to help you in your research whether you’re looking for cosmetic dentistry, braces in Mountain Home, Arkansas or any of our previously mentioned services. Our state of the art facility not only allows us to offer you the highest quality dental care available, but is designed to make you feel right at home. Sometimes a trip to the dentist causes a small level of anxiety because you don't know what to expect. Our friendly and knowledgeable staff can answer any additional questions you may have to put your mind at ease. Dr. Reese answers all kinds of questions about dentistry in the Radio Tab of our website. You can listen to previous episodes about a specific topic you are interested in by visiting the Dr. Reese Radio Show page on our website. So if you are searching for an orthodontist in Mountain Home,AR, be sure to include Reese Family Dentistry in your search! There are many great orthodontists in the area to choose from, but now you know they are not your only option. You can make an appointment with us by contacting our office by phone, 870.424.5900 or email. We look forward to giving you that perfect smile!